When was the last time you got something recycled out of scrap? Mine was done in the tot years of school, under the guidance of the teacher, of course. Discarded newspapers and cardboards were glued to form wastepaper bins, old saris twisted and coiled into doormats. Essentially, household bric-a-brac created in work education class. Pero’s creator, Aneeth Arora’s Upcycle project took me back to those glorious years. With an element of quirky fashion added to the whole activity, there was reason to be giddy with excitement. 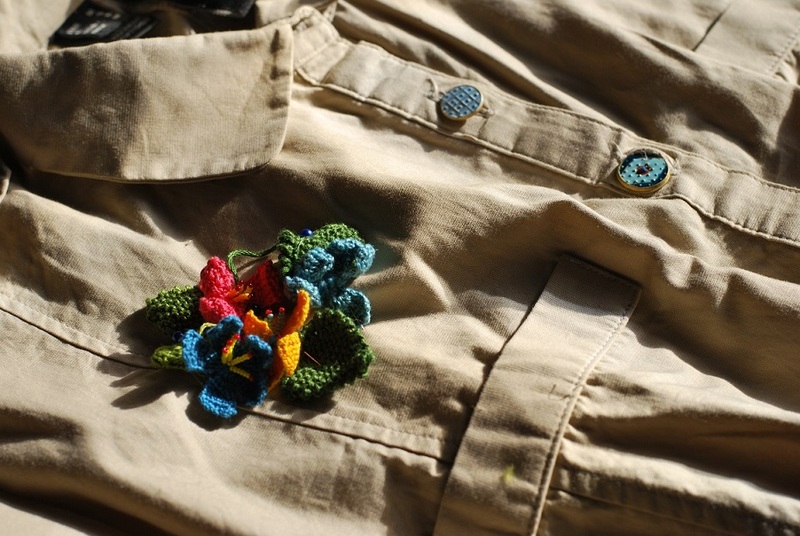 Discarded apparel recycled into something fresh and fun! What’s not to like? When I walked into the NID and NIFT graduate’s Patparpanj work studio, the air was already charged with much fun and excitement. 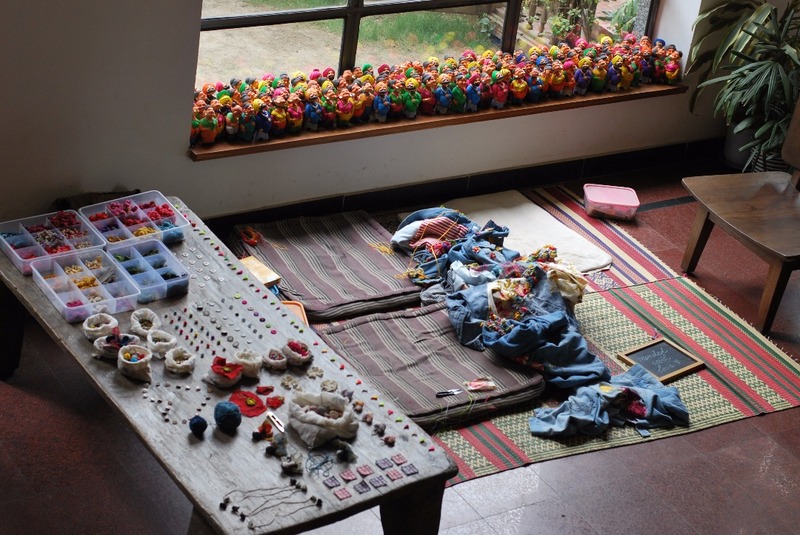 Pero lovers and the followers of her whimsical sartorial creations huddled over the tables singling out buttons, pompoms, crocheted and appliquéd flowers, beads, colourful cloth patches and other intricate details. The in-house design team helped them draw up a story on the brought garments after which the designers pored over each one of them, painstakingly stitching the miniature craft details on them. 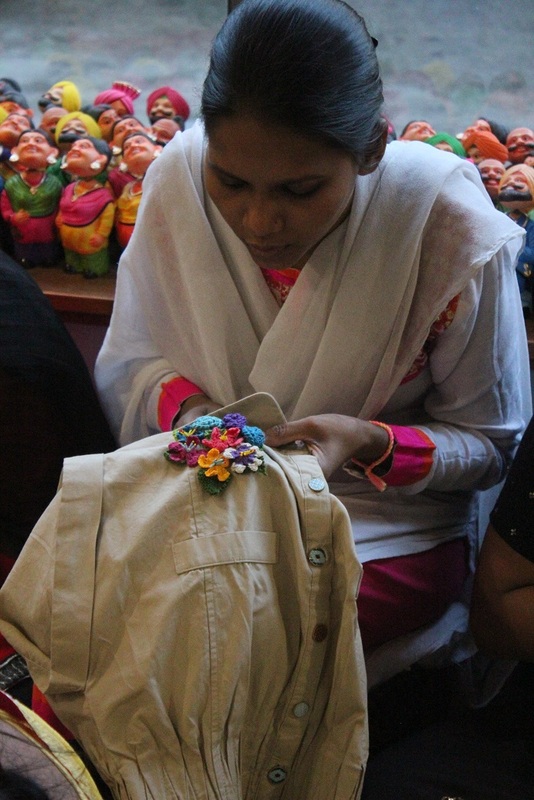 As I waited amidst a jungle of denims, I handed over my beige dress for a makeover. But before I narrate how my staid dress was given a floral and funky spin, a few lines on how Aneeth hit upon this concept targeted at sustainable fashion. 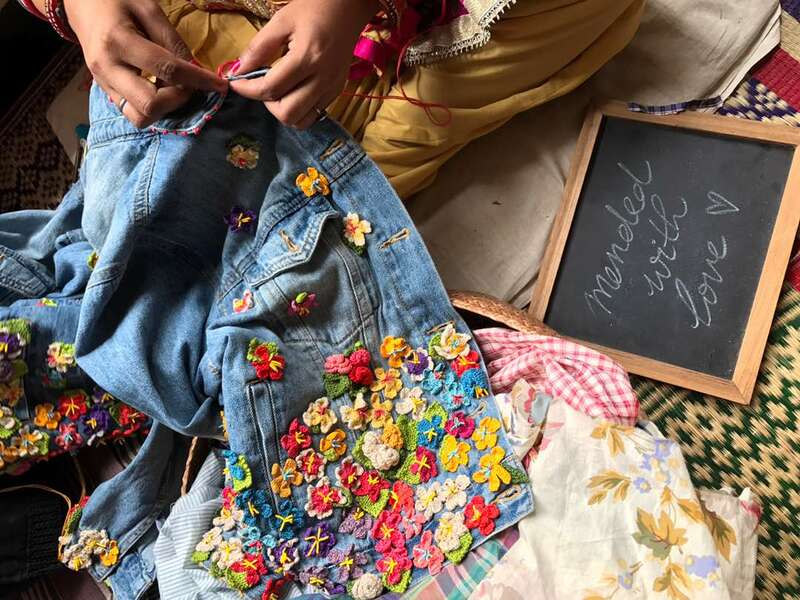 With references as myriad, colourful and fanciful as Swedish author Astrid Lindgren’s creation Pippi Longstocking or French painter and botanist Pierre Joseph Redoute’s canvas on flowers, Aneeth began the upcycling story with an old Ralph Lauren denim jacket. 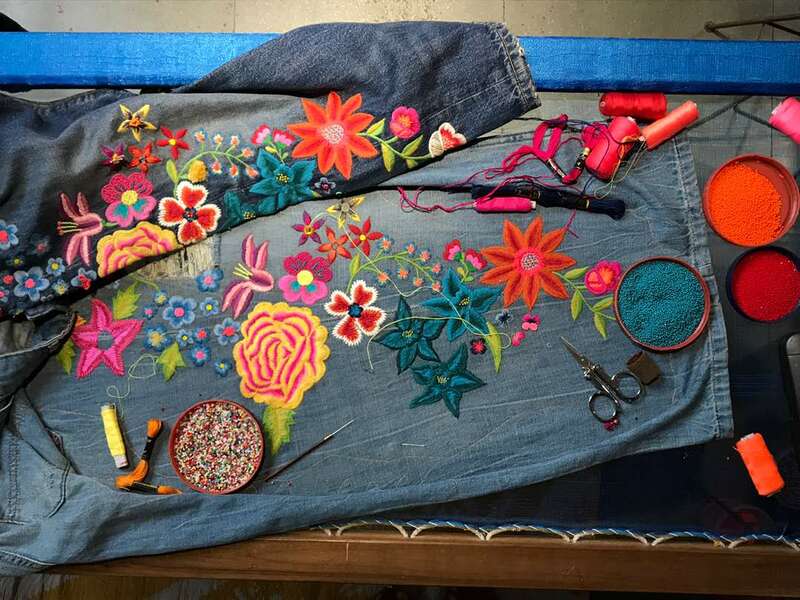 Tacked with a few pins, a trim from an early collection, an embroidered patch and a button or two, her favourite Denim jacket was a whole new entity. Photographer Dayanita Singh identified with the aesthetics of this personal narrative by the designer and brought to her a black trench to be worked on. This gave birth to the sub-brand Upcycled by Pero. Aneeth’s design team starts work on this knee-length trench dress. The dark brown buttons have to go! 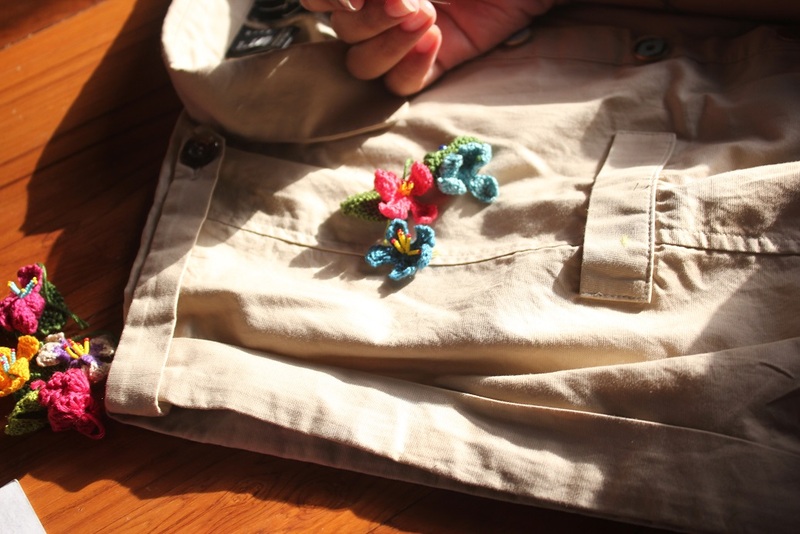 So, customized Pero buttons, of five different colours and sizes, are picked up and put on the button line and shoulders. The last button is a big one, with the mandatory Pero heart on it. For the floral effect, crocheted flowers and leaves are chosen out of a huddle of tiny flowers. These flowers are mostly handcrafted by a group of Afghani women from whom the design team collects such beauties regularly. Blue, yellow, red, purple, pink and green are the chosen hues for my dress. They are stitched in a tight cluster under the right collar. A tiny little garden effect here! To keep it subtle and to showcase how the dress gets the Upcycle love, a red check square patch of Pero loves Upcycle is appliquéd on the left corner of the hemline. The job is done. 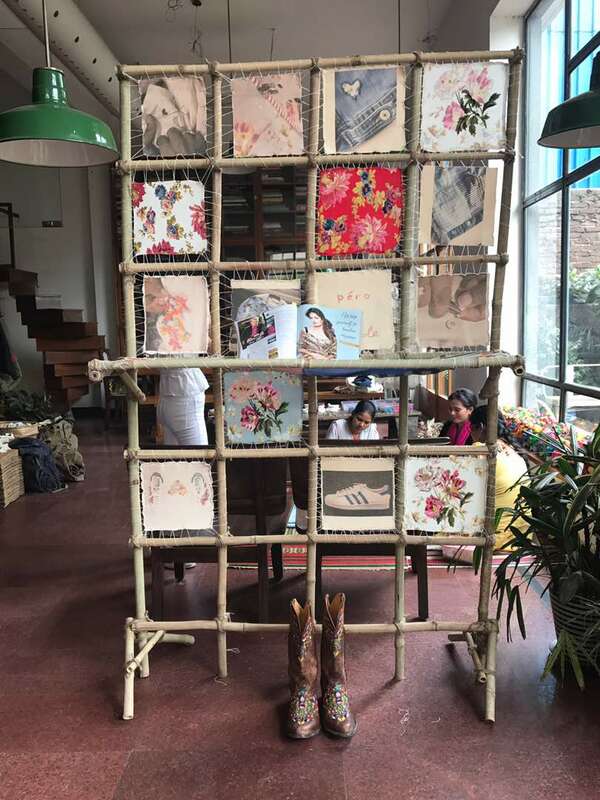 All those who want their clothes upcycled by Pero, book an appointment with her design team at her studio. Watch the karigars work on your garment. It’s a pretty little organic zone there, almost a window to Aneeth’s creative mind. Seeing the customization and mending with love, you’ll come back with a broad smile plastered on your face.